I don’t know about you, but when I eat soup or stew or salad even, I’ve got to have some kind of bread with it. A meal isn’t complete without carbs! I’m pretty sure that I will never, ever, ever, go on a carb free diet! Actually I don’t diet, why set myself up for failure? I have my opinions about diets…and I’m sure that you don’t care about them…not even a little bit! 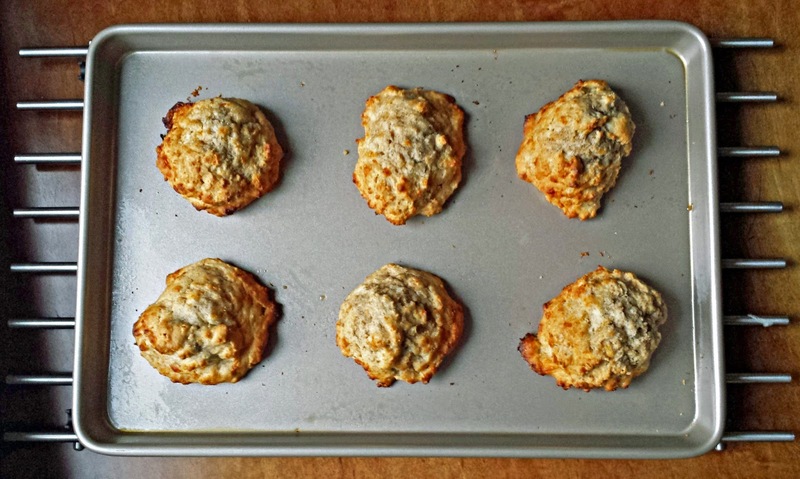 Any hoo…What I love about drop biscuits is that they are super quick and easy to make, and I always have the ingredients on hand to whip them up on a whim. While I am not dieting, I am making some smart adjustments to some of my favorite recipes in order to make them more nutritious. This recipe is about compromising. I find that baked goods need some all-purpose flour to give them a pleasing texture, so I used half AP flour and half whole wheat flour. If you like a more dense texture, then by all means, add more whole wheat flour. I also use strong flavored cheese so that you can use less cheese and still taste it. 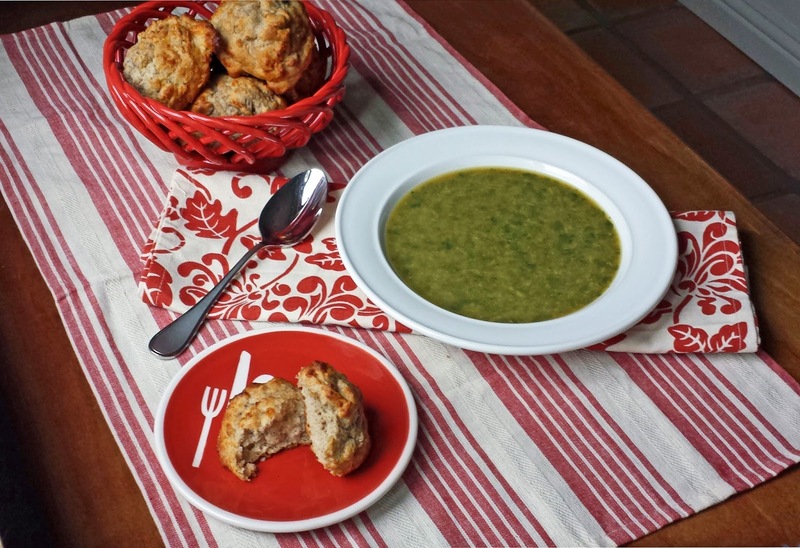 Whole Wheat Cheddar Drop Biscuits are best served warm from the oven, with a hot bowl of soup. They are soft and cheddary, and don’t even need a bit of butter. And while yes, there are some compromises in these biscuits, you won’t feel like you’re compromising…not even a little bit! 1. Pre-heat oven to 450 degrees. Coat 2 sheet pans with cooking spray. 2. In a large bowl, whisk together the whole wheat flour, all-purpose flour, baking powder, sugar, and salt. Cut the butter into the flour using a pastry blender or two knives, until the butter is the size of small peas. Stir in the grated cheese. Add the milk, and stir just until barely incorporated, don’t over mix. Allow the mixture to rest for about 10 minutes. 3. Drop the batter onto the sheet pan into mounds a little smaller than a golf ball; I used a 1-5/8 oz. scoop, leaving a couple of inches between each biscuit. 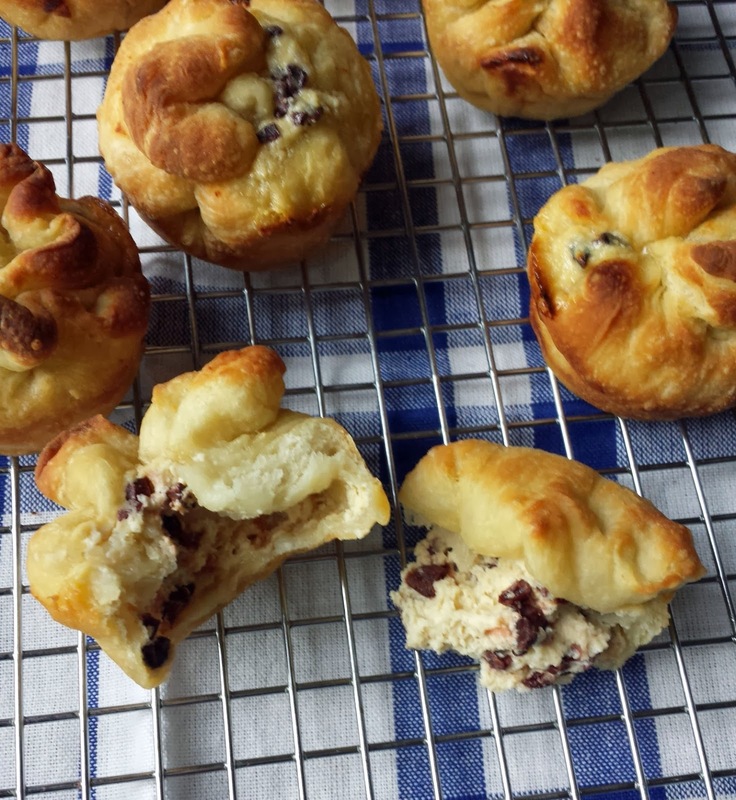 Bake in the oven for 12 to 14 minutes, or until the tops of the biscuits are deep golden brown. These are best served warm. 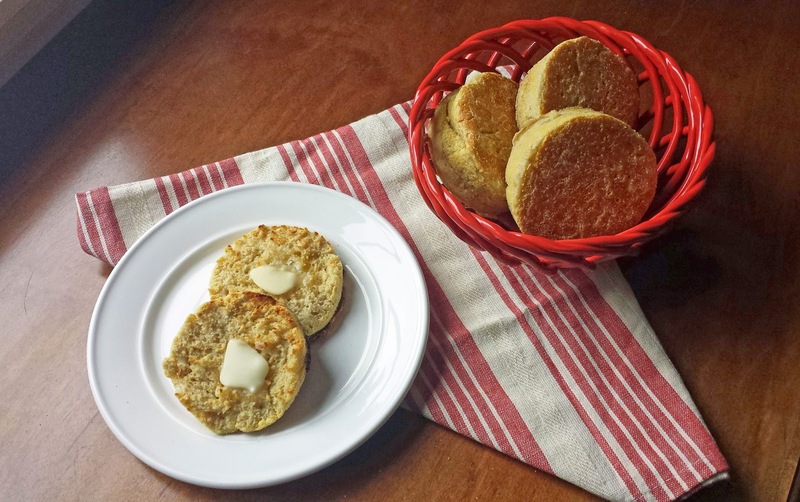 Notes: *All-purpose flour gives a lighter texture to the biscuits, but if you would like to use only whole wheat flour, then increase the amount of milk by ¼ cup. **To reheat left over biscuits, brush them with a bit of melted butter and warm them in a 275 degree oven for 5 to 8 minutes. I've always enjoyed having a nice hunk of bread to sop up soup/sauce with. It's so cozy and comforting and flavorful! 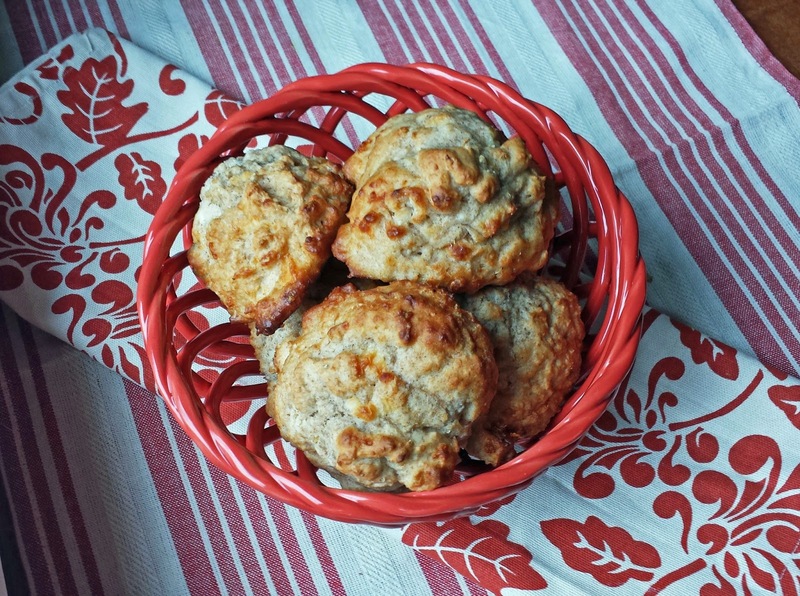 These drop biscuits look absolutely amazing! 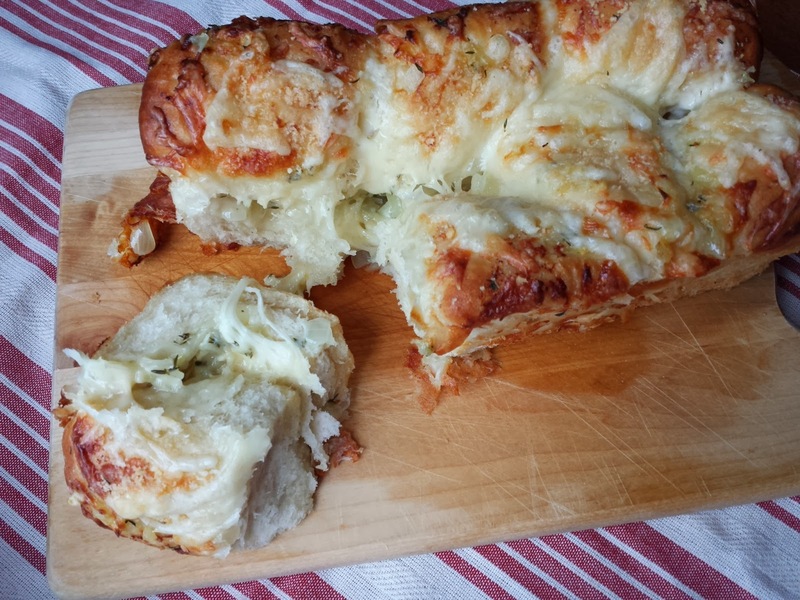 Kudos for healthifying the recipe while still keeping it deeelicious! I need these! I am a carb lover! 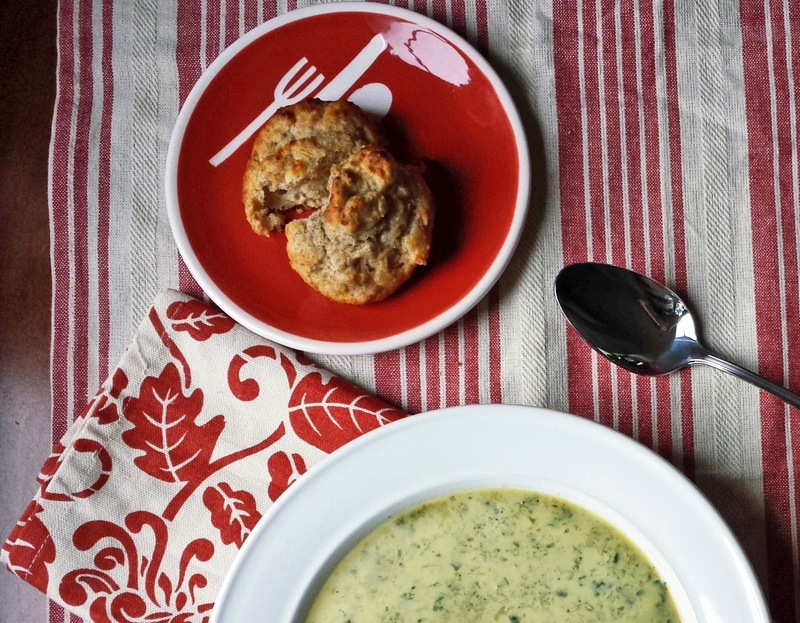 The reason I love soup is because I can have some bread with it :-)) These drop biscuits look awesome! My hubbie just told me that Brocolli Soup was his favorite comfort food (I thought it was meat!!) These biscuits would be perfect to serve with him!! I love a drop biscuit. Anything to make life easier! 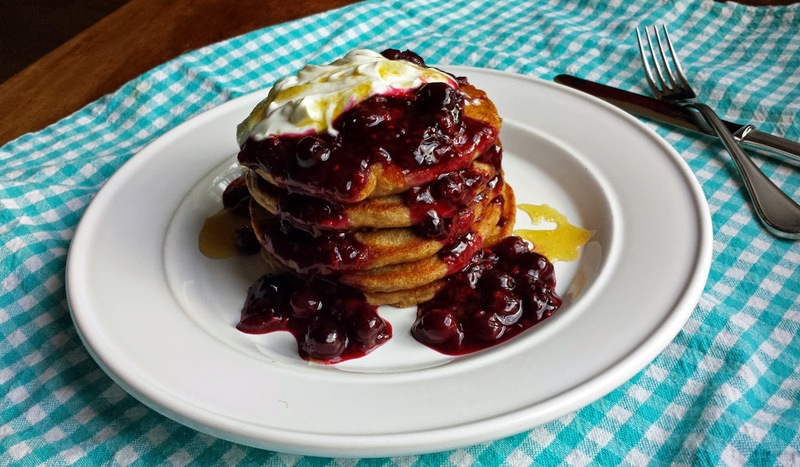 These look super yummy Kari. They will definitely be on my menu the next time we have soup. Thanks so much for bringing them to share at last weeks Weekend Potluck. I love to see what you bring every week. Have a great day!